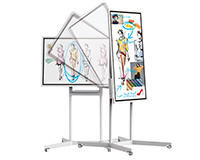 Learn, Create & Collaborate with an Interactive Display. The perfect solution for Meetings, Presentations & creating a Collaborative workspace for your business. 34 inch and higher displays are a great way to expand your set-up, offering Ultra-Wide clarity and colour. Increase efficiency and quality of work thanks to a bigger display, available on a Flexi-Lease individually or as part of any PC or Mac lease. 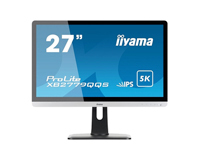 View our comprehensive range of 27 Inch displays. 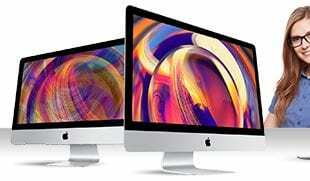 Supplying well-known brands such as Apple, Dell and LG. 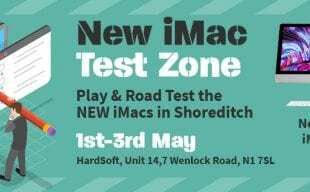 All displays are available on a HardSoft Flexi-Lease and can be bundled with any PC or Mac lease. All the 22-inch and less displays available from HardSoft. Displays are available on our Flexi-Lease and can be bundled with any of our other products to form your business’ perfect setup. HardSoft Computers can help supply and support all your creative requirements, 24 Inch displays will allow you to create beautiful, high-quality work and intricately edit your masterpieces. 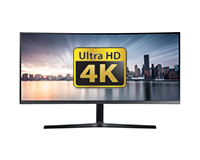 Complement your desk with full clarity and amplify the quality of your work with our great range of 4K Displays available through our Flexi-Lease solution. 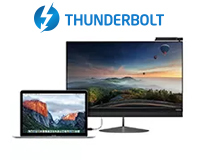 Take advantage of Thunderbolt connectivity & expand the capability of your computer whilst reducing cables and enjoying faster data transfer rates. Thunderbolt interface supports a data transfer rate of 10Gbps. 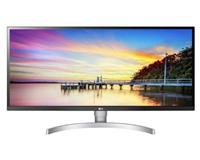 Lease your new monitor for great prices and fast delivery. 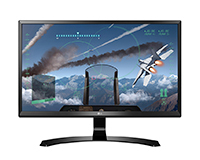 Update and expand your current IT set up with a brand new monitor or display from HardSoft Computers. See your work in a whole new light with a 4K or even 5K display, perfect for editors, animators or 3D engineers. 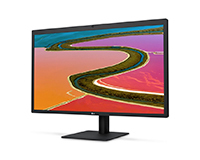 A high screen resolution monitor is a major focus for creative professionals so what better to way to improve your quality of work and work rate than leasing a brand new Ultra HD display from HardSoft Computers. Help your staff to work efficiently and lease them the most up to date IT. With a HardSoft lease package, you will receive 3 years free Warranty and Telephone Technical Support. Update or expand your IT with a HardSoft lease for an easy and affordable solution. With transparent pricing and no large arrangement fees, you will be amazed at what our lease package has to offer. Leasing comes at great rates and is 100% tax deductible so makes great business sense. You can choose to make monthly or quarterly payments to suit your company budget. Free up your cash flow and lease today! If you require an alternative screen size or would like a bespoke quote, speak to our Sales Team on 0207 111 1643. As a reseller for various manufacturers, we are able to offer up to date and impartial advice. The HardSoft lease is perfect for business. We have created a unique package which contains everything your company will need. With inclusive Warranty and Telephone Technical Support thought the duration of your lease, you will be covered by our one stop shop. Our Warranty system means that any faulty machine will be collected, repaired and returned in a timely manner. Working alongside businesses for so many years, we know how important it is that you stay up and running. The HardSoft Technical Team are on hand for unlimited remote support. You will not find this kind of service with a purchase agreement. If you are a start up business, you will be subject to the same great prices as an established business and will not incur any hefty arrangement fees. The pricing we offer is completely transparent and visible on our website. Leasing multiple devices will give you the opportunity to create a further discount. You can lease from across our whole range and even include software and anti- virus. By paying monthly or quarterly you can budget effectively and free up cash flow.